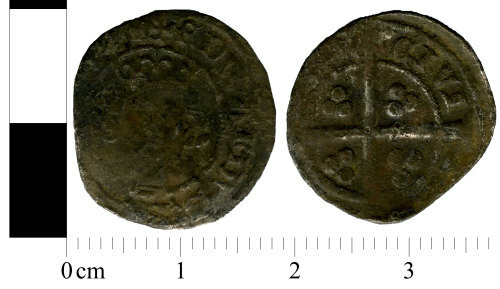 A silver medieval penny of Edward III. Dating c. 1356-1377. Mint uncertain. Saltire stops. Obverse description: Crowned bust facing. Reverse description: Long cross dividing legend. 3 pellets in each quadrant.